Nonprofits are focused on fulfilling their missions, but also want to strengthen their organization’s governance, reduce costs and protect their organization, staff and volunteers. As part of ONN’s membership program, we offer an exclusive insurance program designed specifically for registered not-for-profit corporations operating in Ontario. Nonprofits have different insurance needs than for-profit businesses. ONN has done all the homework for you. No interest or service charges on your personal insurance. Watch Our Webinar "Getting the Right insurance Coverage for Your Board and Employees"
The experience has been nothing but positive. First, our insurance costs are less than half of what they were previously – more than covering the ONN annual membership fee. Second, Paul Spark is very responsive to our needs. He always returns emails on time and gets us any certificates or documentation we require. We would very much recommend all ONN members take advantage of this benefit. Ever since I first met Paul Spark at a Ontario Nonprofit Network Conference some years ago, I can state unequivocally that his advice, service, and competitive savings on the Cyber Privacy Insurance Policy our Society has through Paul has been exemplary. Paul ensures that we are well served and provides current pricing and information and is always available to offer advice and support when required. Our agency is very pleased with the service that we received. We are paying less for even more coverage than we had previously, which is quite impressive! What’s more, we were guided through the entire process with a phenomenal level of customer service from Paul Spark, the Commercial Account Executive assigned to us. Paul took the time to answer all of our questions and offered great advice. The higher level of coverage, cost savings and exceptional customer service resulted in a very positive experience for our agency. The insurance program provided through the ONN with Paul Spark has been really great for us. I contacted Paul and he quickly answered my many questions. He managed to increase our coverage and decrease our costs. We recently hosted our very first conference and he worked hard to make sure we were covered without adding too much additional cost. HUB International is an absolute pleasure to work with, Paul took the time to ensure we fully understood every aspect of the coverage we were seeking, and with his industry knowledge gave us valuable information on what would benefit us as a nonprofit organization the most. Choosing Hub International was the best solution for our organization, and as a result of his work on our behalf, he was able to offer us substantial savings versus what our previous insurance company had offered. I encourage any nonprofit organization who needs to renew their Commercial insurance to contact Paul and see what he can do for your organization. Paul from Hub International has consistently been able to expand our level of coverage while containing and in most cases reducing our costs. This has been particularly valuable in the area of Cyber Privacy, a specialized form of coverage that we could not find elsewhere and something important to our work. Paul also has a deep commitment to the non-profit sector and has been incredibly patient with our multiple inquiries, funder requests and ongoing demand for certificates. I encourage anyone looking for better quality insurance at a highly competitive price to give him a call. It can be difficult to create national group programs and maintain value because of varied provincial and jurisdictional regulations and broad scopes of organizations. Locally, it can be challenging because often there isn’t enough pooling power to gain substantial discounts. But provincial power works! 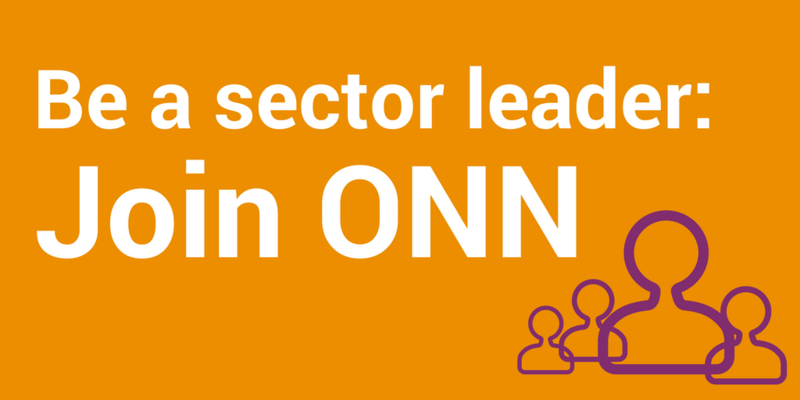 After more than a year of doing comprehensive and detailed research on insurance programs nonprofits need and the right partners to deliver them, ONN launched our own sector-wide insurance program. Provide competitive group pricing for nonprofits of all sizes and types- members see savings of 30%+ over other insurance plans! Benefit ONN members giving them the insurance coverage and protection that their organization, staff and volunteers need. 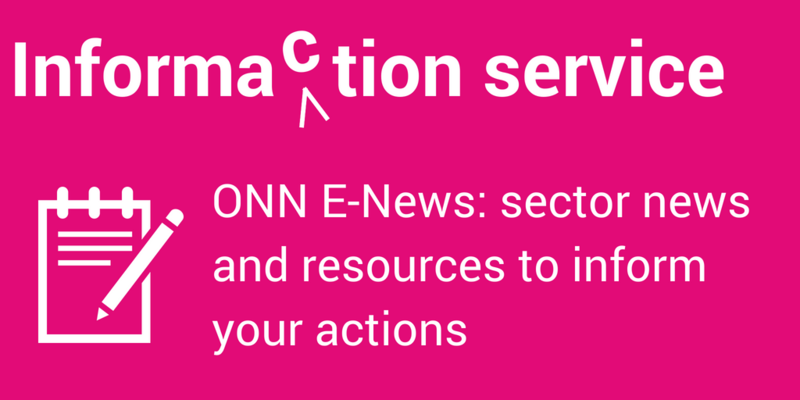 Support ONN’s advocacy and support of Ontario’s nonprofit sector so we can continue to keep on top of issues and opportunities for nonprofits across the sector. Ontario is home to 5 million volunteers and 600,000 employees in the nonprofit sector. **** Community Social Planning Council of Toronto. (2009) Heads Up Ontario!